A great batch of magazine scans have been added to the photo gallery, with many thanks to Alvaro. 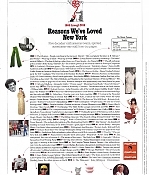 Among the new additions is the full Telegraph magazine article, a nice 2-page article from the British Hello magazine and numerous reviews from the British and American press. For a complete overview of all last added scans, have a look at the previews below. Happy New Year everybody! 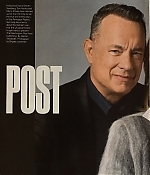 Additional magazine scans, ranging from December 2017 to February 2018, and including Entertainment Weekly, Film Journal International and Britain’s Empire Magazine (including a stunning new Brigitte Lacombe editorial), have been added to the photo gallery. 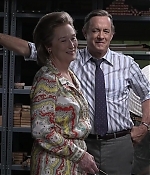 Also, a great new featurette on “The Post” has been released, which can be watched in the video archive, screencaptures have been added as well. Enjoy the new additions. 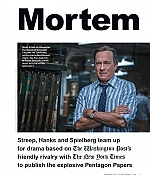 Five new magazine scans have been added to the photo gallery, all American publications on this week’s theatrical release of “The Post”. Many thanks to Alvaro for sending them in. Enjoy reading. Meryl Streep gave a rousing Golden Globes speech, and ‘The Post’ became a reality. Quickly. 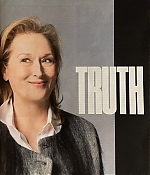 New article by The Washington Post: A little less than a year ago, just before the inauguration of Donald Trump, Meryl Streep accepted the Cecil B. DeMille Award at the Golden Globes ceremony in Los Angeles, using her speech to castigate the president-elect for his treatment of the press during the presidential campaign, especially a disabled New York Times reporter. “This instinct to humiliate, when it’s modeled by someone in the public platform, by someone powerful, it filters down into everybody’s life, because it kinda gives permission for other people to do the same thing,” she said to a crowd of her largely supportive peers. “Disrespect invites disrespect; violence incites violence. And when the powerful use their position to bully others, we all lose.” She concluded by rallying support for the Committee to Protect Journalists. Streep’s remarks — the first widely publicized criticism of Trump by a world-famous figure since his election — became a fulcrum moment, especially in Hollywood. “It felt like [she] was finally letting the air out of the room,” producer Kristie Mocosko Krieger recalls. “We were all just keeping our mouths shut for so long, and [Meryl was] like, ‘[Forget] it — I’m not keeping my mouth shut anymore.’” The screenwriter Liz Hannah remembers the Golden Globes speech just as vividly. 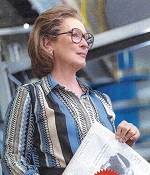 At the time, her script for “The Post,” about Washington Post publisher Katharine Graham confronting the perilous decision to publish the Pentagon Papers in 1971, was making the rounds in Hollywood. 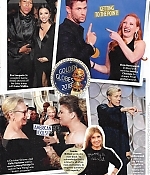 Immediately after Streep spoke, one of “The Post’s” producers, Tim White, texted Hannah and fellow producer Amy Pascal. 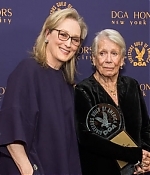 “He said, ‘Did you see Meryl give her speech?’” Hannah recalls. “And I said, ‘Yeah.’ And he said, ‘That’s Kay.’”. 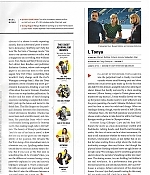 The complete article can be read over at The Washington Post. Many thanks to Glenn for the heads-up. 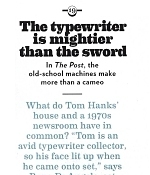 More awards news for “The Post” today. 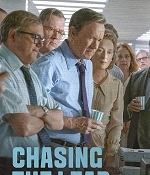 The Detroit Film Critics Society has honored the films cast as Best Ensemble, while the Washington DC Area Film Critics Association has nominated both the ensemble and Streep as Best Actress, alongside Sally Hawkins (The Shape of Water), Frances McDormand (Three Billboards Outside Ebbing, Missouri), Margot Robbie (I, Tonya) and Saoirse Ronan (Lady Bird). 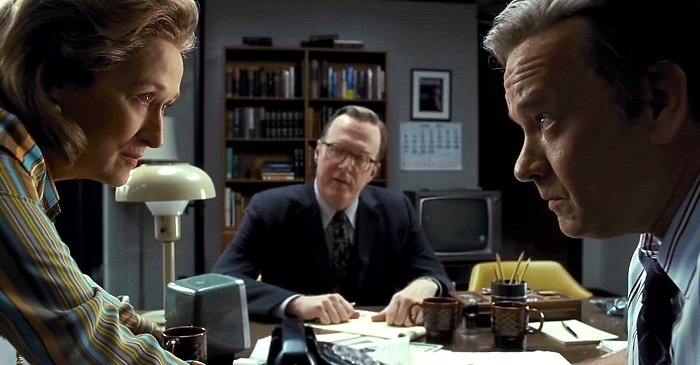 “The Post is expected to be included in AFI’s Top 10 List, which will be announced later today. Next week, we can look forward to the nomination announcements by the Golden Globes and the Screen Actors Guild Awards. Many thanks to Frank for the heads-up. Also, a first batch of scans from press reviews and magazines have been added, with many thanks to Alvaro! 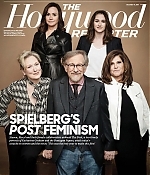 Here comes a great cover story by Hollywood Reporter, featuring interviews with Steven Spielberg, Meryl Streep, Amy Pascal, Liz Hannah and Kristie Macosko Krieger. 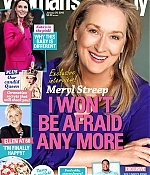 “We are on the way to something better,” says Meryl Streep of the recent “earthquake” of harassment claims and female empowerment that has upended Hollywood, which many view as a direct response to the Trump administration. 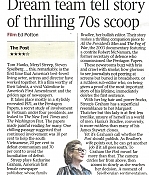 Certainly, the regime loomed large for Steven Spielberg when he first read The Post. 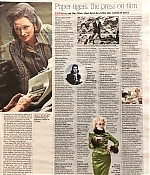 “I realized this was the only year to make this film,” says the director, who tapped Streep to star as Washington Post publisher Katharine Graham despite the fact that he had only collaborated with her once before — for a single day of voice work on 2000’s A.I. Artificial Intelligence. “Most of the time we talked about how his property was haunted and did I know anybody who did exorcisms?” recalls Streep. “And of course, I did. 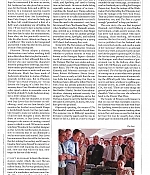 I got him a priest.” The $50 million-plus Post tells the story of how Graham gave the green light to her editor Ben Bradlee (Tom Hanks) to report on the Pentagon Papers in 1971. (The New York Times had broken the story on the report, which revealed that America was losing the Vietnam War, but a court had ruled it couldn’t publish more about the top-secret documents.) Graham now faced a terrible dilemma: Go ahead with the Post’s article and risk imprisonment or withhold and silence the truth. Nearly half a century after she made her momentous choice, Graham’s tale is at last told. 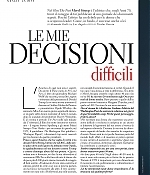 The complete interview can be read here. The cover and outtakes have been added to the photo gallery. 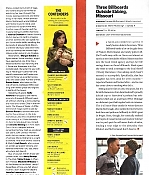 Nice in-depth article by the Hollywood Reporter. 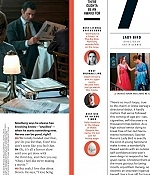 Also, check the following update for their cover story: In late February, Steven Spielberg hit a wall. Six years after he had started work on period piece The Kidnapping of Edgardo Mortara — and just weeks before he was due to start filming in Italy — he couldn’t find a boy to play the lead. In need of distraction, he picked up a spec screenplay that his CAA agents had sent him, and fell in love. 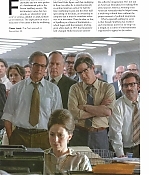 The Papers, as the script was then called, didn’t just tell the story of The Washington Post’s Ben Bradlee and Katharine Graham, both of whom he knew; it also touched on one of the most relevant issues of the day: freedom of the press, and Graham’s decision to publish the Pentagon Papers in 1971, at the risk of losing her family-owned newspaper. 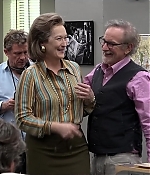 After mulling things over, Spielberg told his longtime production partner, Kristie Macosko Krieger, that he was going to shut down Mortara and immediately jump onto the other film, which he wanted in theaters by the end of the year. “Everybody thought that I was off my rocker,” he admits. 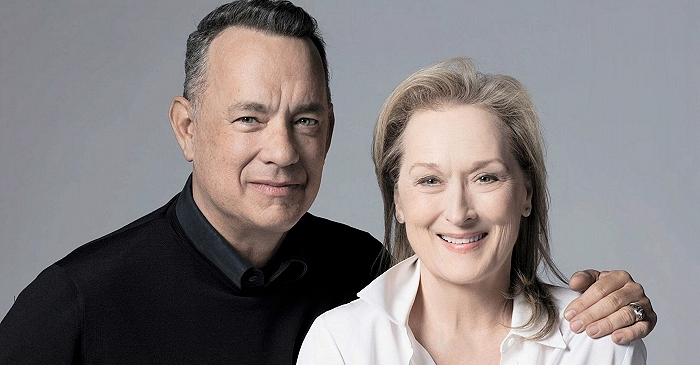 “But the great thing about having these decades-long collaborations is that the whole scrimmage swung to the left and we seriously started to prioritize the bare necessities.” “He said, ‘Can we make this movie this year? Can it come out this year? '” recalls Macosko Krieger. 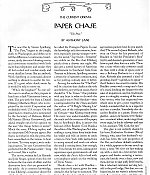 “So I [went] to my editorial staff, my postproduction crew, and said, ‘I know we can shoot it, but can we post it in time?’ Because we were also in postproduction on Ready Player One, the gigantic movie at Warner Bros. We sat down and did a giant war room, and we felt pretty confident that we could make it work. 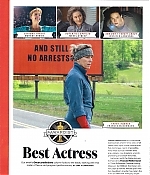 But we knew it would be tight.” The complete article can be read over at the Hollywood Reporter. 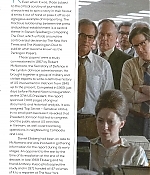 A lenghty, very interesting article on “The Post” by The Guardian: It has been described as a Hollywood all-star team’s riposte to Donald Trump. 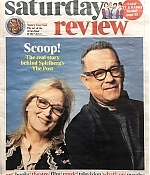 Steven Spielberg’s new film, The Post, headlined by Tom Hanks and Meryl Streep, dramatises the Washington Post’s publication of the classified Pentagon Papers, which exposed government lies about the Vietnam war. 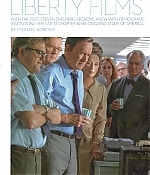 But while there are well chronicled parallels between the administrations and obsessions of Trump and Richard Nixon, the movie is also provoking debate about the role of media as watchdog – and whether a similar leak today would survive partisan attempts to discredit the messenger. Spielberg consulted Daniel Ellsberg, the Rand Corporation strategic analyst who leaked the Pentagon Papers – a top-secret 7,000-page document detailing US strategy in south-east Asia from 1945 to 1967 – to New York Times journalist Neil Sheehan in 1971. It was a bombshell that revealed the White House knew it was fighting an unwinnable war. 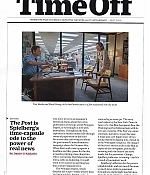 After the Nixon administration won a court injunction that stopped the presses, Ellsberg gave a copy of the documents to the Post and 17 other newspapers. 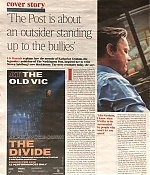 The Times and Post fought the order for 15 days until the supreme court overturned the ban in a 6-3 decision. Justice William Douglas wrote: “The dominant purpose of the first amendment was to prohibit the widespread practice of governmental suppression of embarrassing information.” But the justice department still pursued a vendetta against Ellsberg. He went on trial in 1973 on charges of espionage, conspiracy and stealing government property. The charges were dismissed due to gross governmental misconduct and illegal evidence gathering against him. The Pentagon Papers were declassified in 2011 and released for the public. 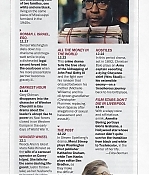 The complete article can be read over at The Guardian with many thanks to Glenn for the heads-up. 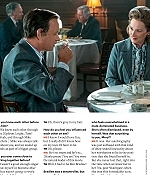 USA Today reports about the Lincoln Square Q&A with more insights: There’s a reason why Tom Hanks never worked with Meryl Streep before The Post. “I failed my audition for Mamma Mia!” Hanks joked at a panel Sunday night, following the first New York screening of Steven Spielberg’s new movie at AMC Lincoln Square. Somewhat surprisingly, he “never came close (to co-starring with her). I never dreamed that it would be possible.” The Oscar winners certainly picked a timely film for their first vehicle together. 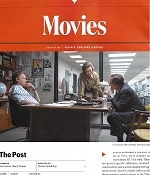 Set in 1971, The Post (in select theaters Dec. 22, expands nationwide Jan. 12) centers on the unlikely partnership between The Washington Post’s Katharine “Kay” Graham (Streep), the first female publisher of a major American newspaper, and editor Ben Bradlee (Hanks), as they wrestle to publish the Pentagon Papers, a massive cover-up of government secrets spanning decades. 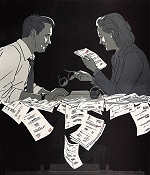 Most of the action takes place over just a few days, with the drama stemming from the Nixon administration’s efforts to stop The Washington Post and The New York Times from printing top-secret information about the Vietnam War. 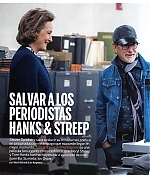 The film’s resonance in the era of “fake news” and journalist bans from White House briefings wasn’t lost on Spielberg, who read Liz Hannah’s script just nine months ago and rushed it into production. “I need a motivational purpose to make any movie,” Spielberg said. “When I read the first draft of the script, this wasn’t something that could wait three years or two years — this was a story I felt we needed to tell today.” The complete article can be read over at USA Today. “It was a relationship between a man and a woman that wasn’t based on any other feelings. It was a friendship that was so deep, it was like family. The script interested me because it was about the working atmosphere. This is so important right now to think about: the atmosphere in which men and women can deal with each other, especially if the woman is the superior. You see in the scene where she and Bradlee have breakfast, she treats him like he is the boss – and that’s usually how that works. There is an accommodation to the ego of the men.